One of the more famous suppressed films of recent years is Superstar: The Karen Carpenter Story, an early work by writer/director Todd Haynes. 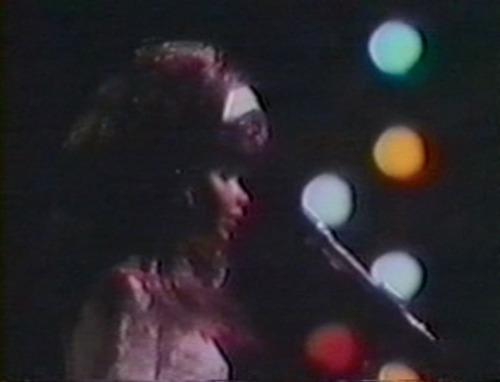 Filmed in 1987, the short film — which relates the rise and fall of Karen Carpenter with a cast of Barbie dolls — barely got a year’s worth of festival time in 1989 before the twin iron boots of A&M Records and Richard Carpenter came down on Haynes. Seems the director hadn’t cleared the rights to use the many Carpenters songs in the film. Oops. Not only that, Superstar drew fire from sober-sided feminists who felt it trivialized anorexia (and who blithely ignored the fact that a woman co-wrote and co-produced it). It also might’ve raised the ire of Mattel if it hadn’t been yanked out of circulation so fast that Mattel didn’t even have time to complain about the use of its dolls. Threatened with a lawsuit from A&M and Richard Carpenter, Haynes countered with an offer to show the film only at clinics and health classes, the profits going to an anorexia research center founded in Karen’s name. Richard didn’t go for it. In April 1991, critic Owen Gleiberman wrote an open letter in Entertainment Weekly asking the surviving Carpenter sibling to let people see Haynes’ film. Richard didn’t go for that, either. Thus Superstar became a legendary verboten film, notorious for being forbidden. For some reason it continues to be shown in college courses, and it pops up at the occasional underground festival, but fifteen years later more people have heard about it than actually viewed it. So, officially nobody is supposed to see the film. Officially I haven’t seen it, never bought it, don’t own it; that’s my official story and I’m sticking to it. But who wants to be official? Superstar is one of the most haunting almost-comedies you’ll never see. (Well, never say never. There are bootleg tapes around, but I’m not going to get anyone in trouble by saying where. Do some Google-work.) I can see why Haynes felt he needed all those Carpenters songs, with Karen’s voice drifting in and out of the misery; I can also see why he didn’t bother to go ask Richard if he’d give permission to use the songs, since Richard comes off as a world-class prick here. Was there a reason, besides the built-in kitsch and ready-made found-art cred, for telling this story with Barbie dolls? Yes, and they’re used brilliantly. Haynes is saying that Karen herself was reduced to a dress-up doll by her overbearing brother and mother, living in a plastic universe that enforces surface femininity on women without taking into account the psychological price they often pay. For about a minute, you might chuckle at the novelty of seeing Barbie dolls with immobile facial features being moved around to tell a tragic story. But only for a minute. Haynes fashions a wry send-up of the usual rise-and-fall biopic — it even begins with a melodramatic black-and-white sequence, not told with the dolls, shot from the POV of Karen’s mom as she finds Karen’s corpse. But within the structure of this parody, Haynes displays a strong compassion that extends beyond Karen to all women pushed into roles they don’t want. The narration lectures us mock-somberly on anorexia, laying the groundwork for our understanding of what Karen suffered. As Haynes tells it, Karen’s family essentially tried to badger her back to health, monitoring her eating and weight, while she secretly resorted to Ex-Lax and, later, Ipecac (which reportedly is what killed her). In the film, Richard can’t see Karen’s illness in any other context but as a threat to their music career — his career. Karen’s visible sickness — culminating in her collapse onstage — is bad for the Carpenters’ squeaky-clean image, another façade that Haynes suggests was as hollow as Barbie. The Carpenters are even placed in historical context: They positioned themselves as, and were embraced as, a sunny alternative to the chaos and dissent of the early ’70s. Here, finally, were two nice young people — Barbie and Ken as sister and brother. They didn’t demand that we get out of Vietnam, Richard wasn’t smashing guitars, and Karen wasn’t burning her bra. This was an act that could be — and were — invited to Nixon’s White House to sing. Did Karen harbor a secret resentment over being shaped into the nation’s new angel of complacency? It all seems to take its toll, and as the 44-minute film nears its end, Karen’s plastic face becomes deformed. Haynes tried to dig gouges into the Barbie Karen’s cheeks to denote emaciation, but that didn’t work, so he sculpted new “flesh” over the gouges, and the result looks creepier than anything in most horror movies. If Karen won’t rebel against how she’s being used, her flesh will do it for her. Against all odds, too, Superstar restores the power of Karen’s voice. If you forget that she’s singing her brother’s crappy, saccharine compositions, she was a great singer. Soothing yet — to these ears — far from cheerful, her singing, heard in the context of a film about her private demons, sounds ineffably mournful. In 1994, A&M Records put out a tribute album, If I Were a Carpenter, on which several hip acts of the day (Sheryl Crow, Shonen Knife, 4 Non Blondes, Babes in Toyland, Matthew Sweet) covered, either ironically or sincerely, fourteen of the Carpenters’ greatest hits. Of the bunch, the group that best captured the tension between Karen’s genuine emotion and Richard’s manufactured glaze was Sonic Youth, in their staticky fuzzbox rendition of “Superstar.” Richard may not have known what “Loneliness is such a sad affair” really meant, but Thurston Moore did, and so did Karen.